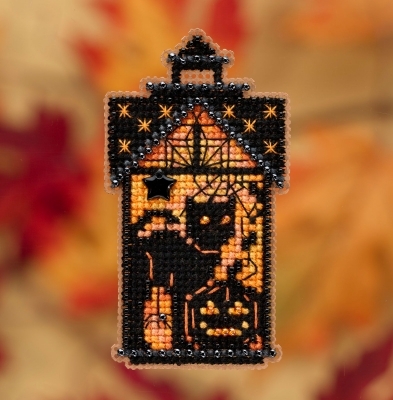 From Mill Hill and the 2019 Autumn Harvest Ornament/Magnet series, each kit contains: Mill Hill Glass Beads, Mill Hill Glass Treasures, Mill Hill Perforated Paper, floss, needles, magnet and chart. Works up to 1.75. "w x 3.25"